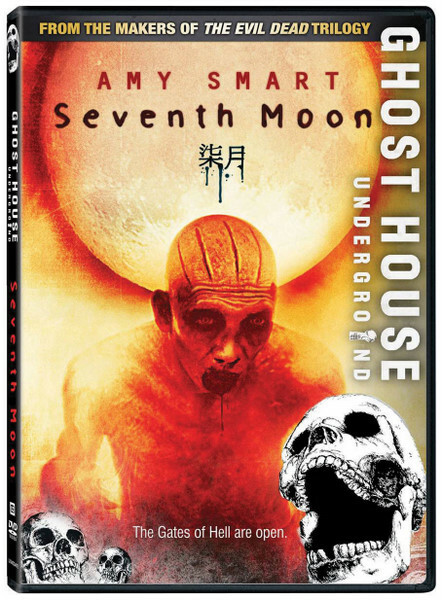 SYNOPSIS: Seventh Moon “will send chills down your spine…” (Dread Central.com). Director Eduardo Sanchez, winner of the 1999 Cannes Film Festival Award of Youth for The Blair Witch Project, “returns with a brilliantly conceived and executed supernatural thriller” (Fantastic Fest). According to an ancient Chinese myth, on the full moon of the seventh lunar month, the gates of hell open and the dead are freed to roam among the living. While honeymooning in China, a young newlywed couple takes part in a sacred event that honors these spirits. Unfortunately their enthusiasm borders on mockery and their disagreeable charm ends in angry glances among the locals. As night falls, their tour guide abandons them in a desolate field. What they thought was a joke is becoming far too real as they fight to survive the night of the Seventh Moon.